Experience the wonder and blessings of these sacred Vedic practices. 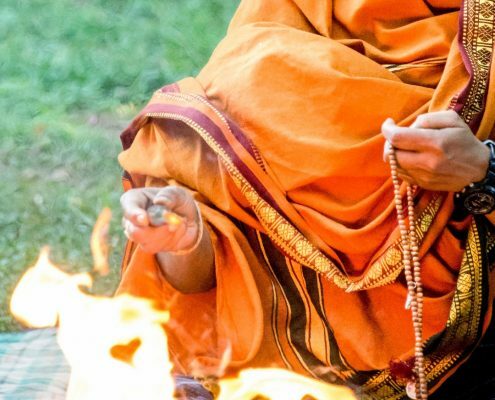 Fire pujas are powerful practices that help connect us with divine energy. Pujas can be offered with a specific intent or prayer – for healing, peace, blessings, empowerment and more. Special ceremonies are performed to coincide with the new and full moon. Call or email for more details to arrange a puja in your local community. This can be combined with sacred music sessions (kīrtan) and mantra – an uplifting, inspiring and interactive community experience that brings profound blessings.